This Gudi Padwa, may you be blessed with good fortune as long as Ganeshji’s trunk, wealth and prosperity as big as his stomach, happiness as sweet as his ladoos and may your trouble be as small as his mouse. Over the years, the small town of Shirdi has become immensely popular among tourists and devotees of Shri Sai Baba. It falls in the Ahmednagar District of Maharashtra state, and is well-known as the abode of Sai Baba, a revered saint. Every year, the annual celebrations in the temple of Shri Sai Baba attracts millions of people from different parts of the world. 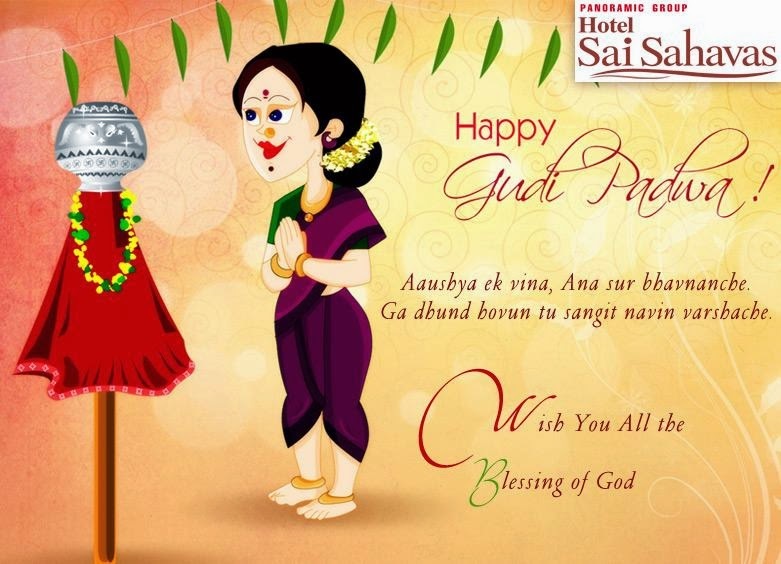 Many of the popular festivals of India is also celebrated with equal importance in this part of the world. The Holi festival in Shirdi is celebrated with great enthusiasm and plenty of colours. Much before the day of Holi, people begin to gather firewood for the great bonfire, which is made before the day of 'Rangapanchami'. On the day of 'Rangapanchami', they put colours on each other, while some indulge in throwing colored water or water-filled balloons on each other. 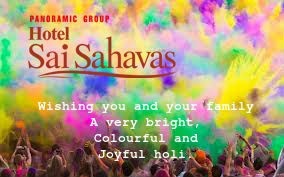 On the occasion of Holi, Hotel Sai Sahavas extends its best compliments and greetings to all.